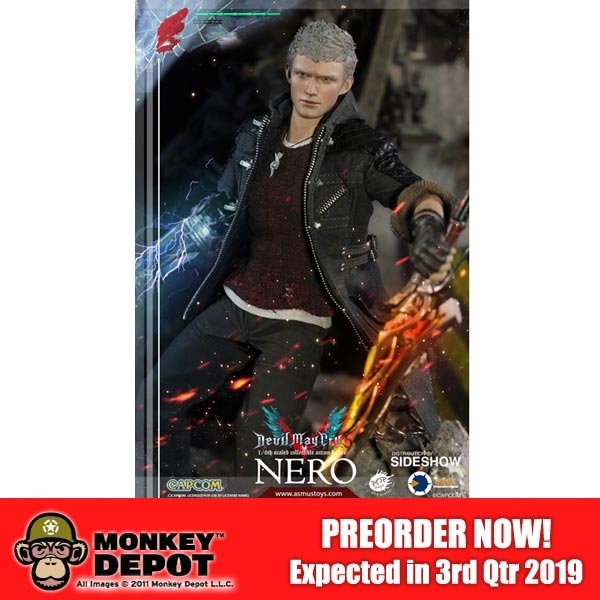 Nero is a fictional character and one of the main protagonists of the Devil May Cry video game series, which was created and published by Capcom. 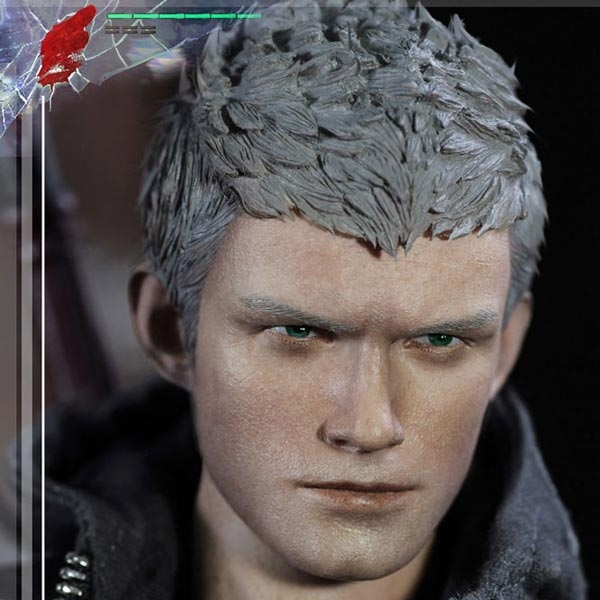 He first appeared in Devil May Cry IV in 2008. 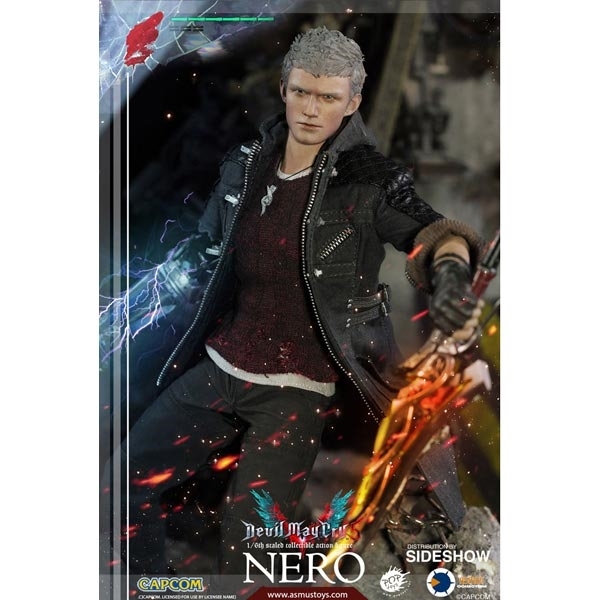 Nero is a teenager working for the Order of the Sword; he uses his devil powers inherited from Sparda to hunt enemies. In Devil May Cry IV, Nero meets a demon hunter named Dante, the series' primary protagonist, to whom he learns he is related. 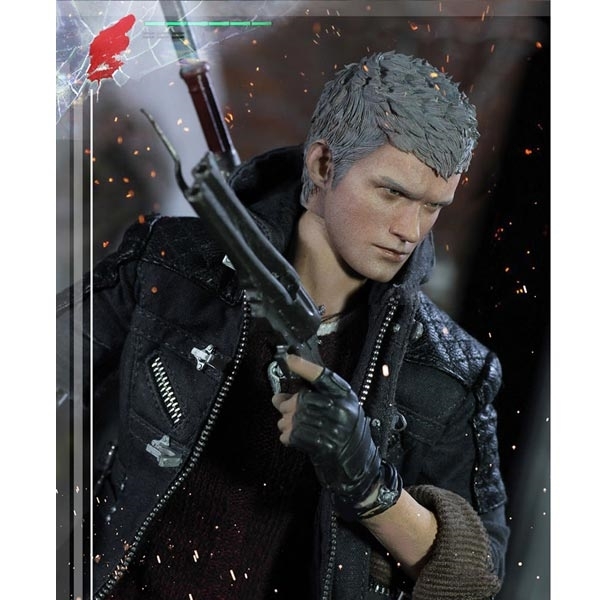 Nero returned as one of the primary protagonists in the sequel, Devil May Cry V. The Nero figure includes a realistic likeness from Devil May Cry V, and features multiple hands, and weapons for display.